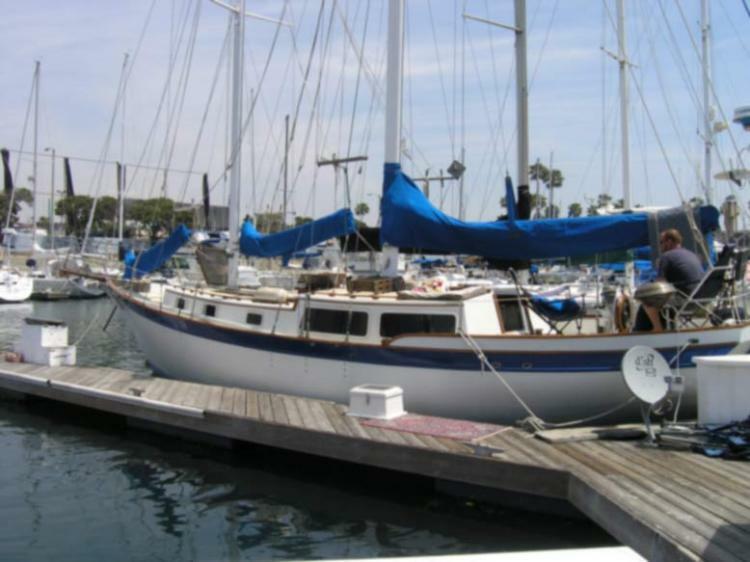 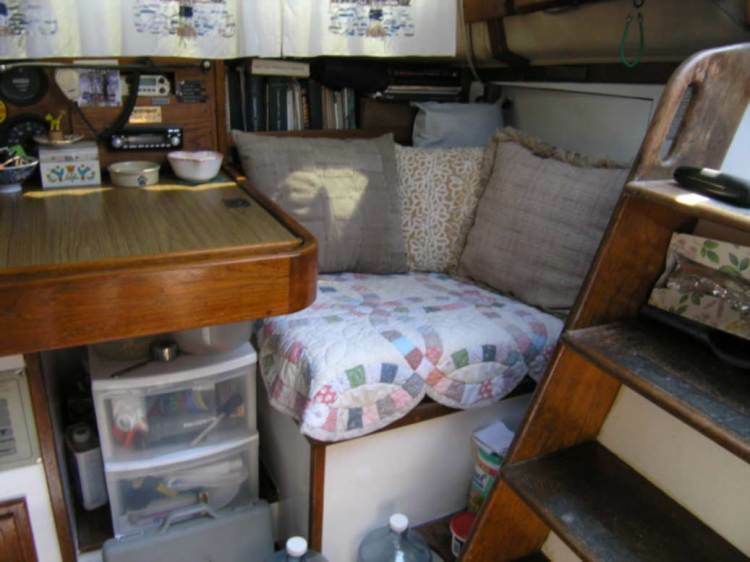 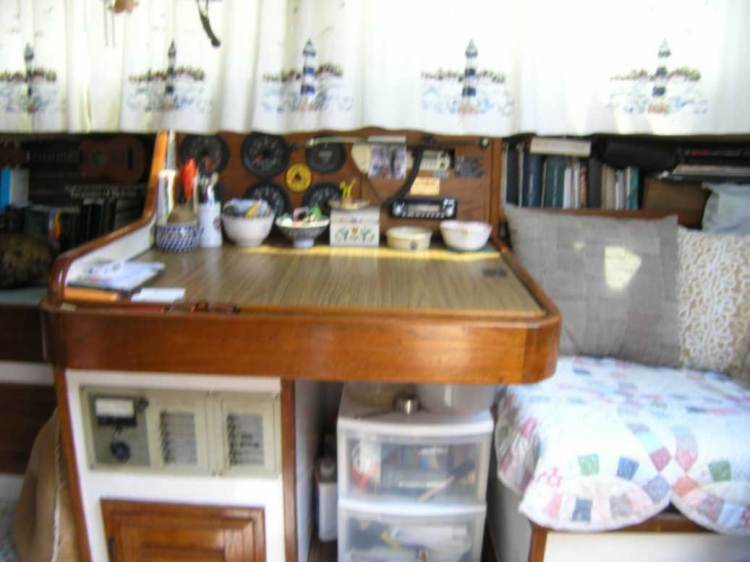 The DOWNEASTER 38 was the first model Downeaster manufactured and kept her going until 1981 and her design was created to provide comfort and racing or cruising capabilities. 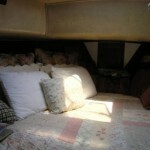 Accommodations: Overnight accommodations are provided for eight people in six berths. 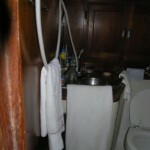 The boat is outfitted with one stateroom and one head. 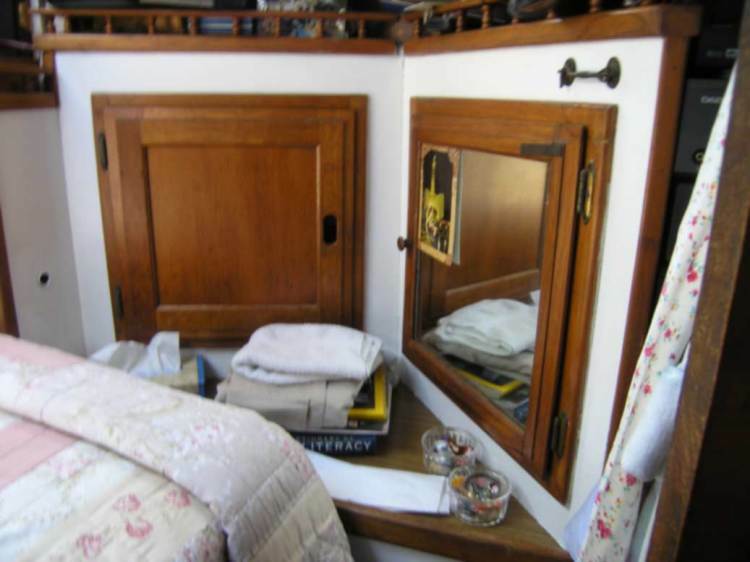 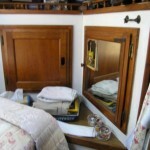 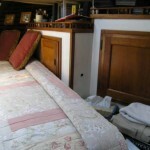 The stateroom is outfitted with queen size v-berth, plenty of storage room, mirrored linen drawers, and privacy door. 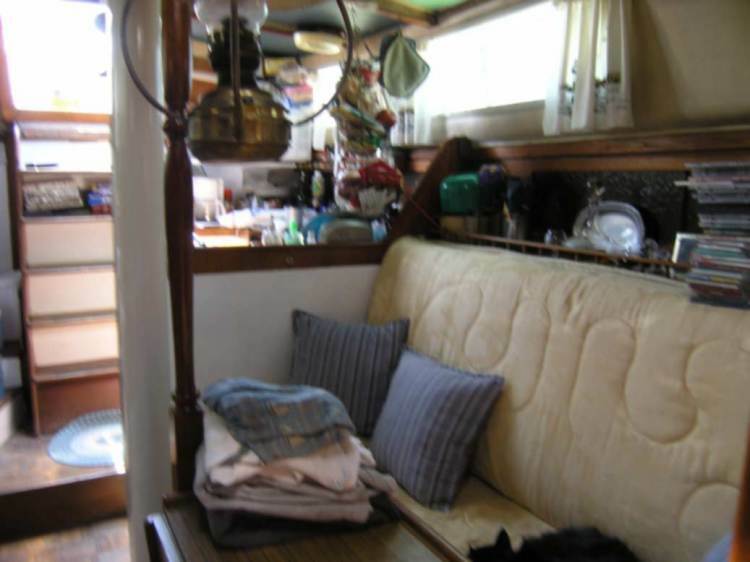 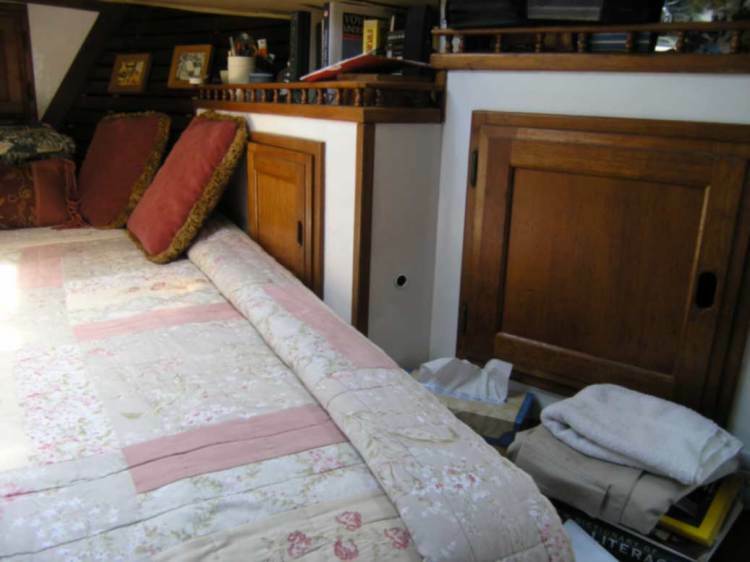 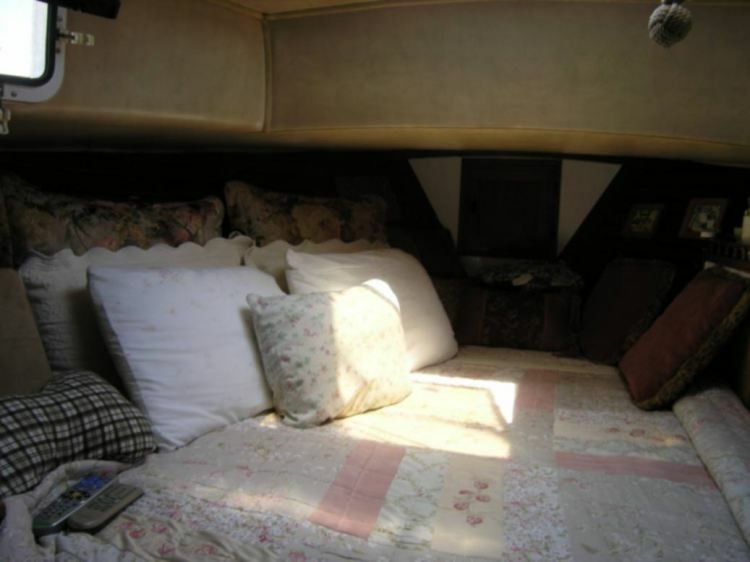 Cabin features include lots of seating for entertaining, and single berths for extra overnight accommodations. 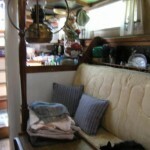 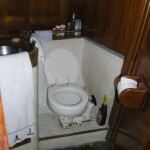 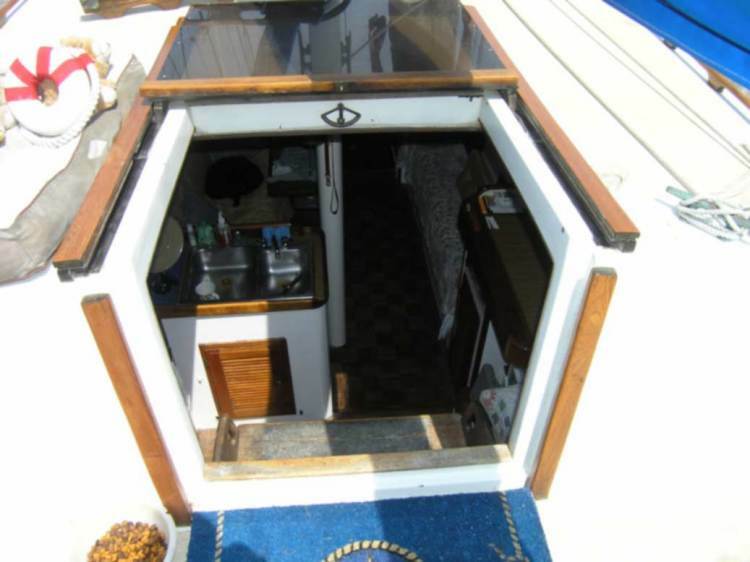 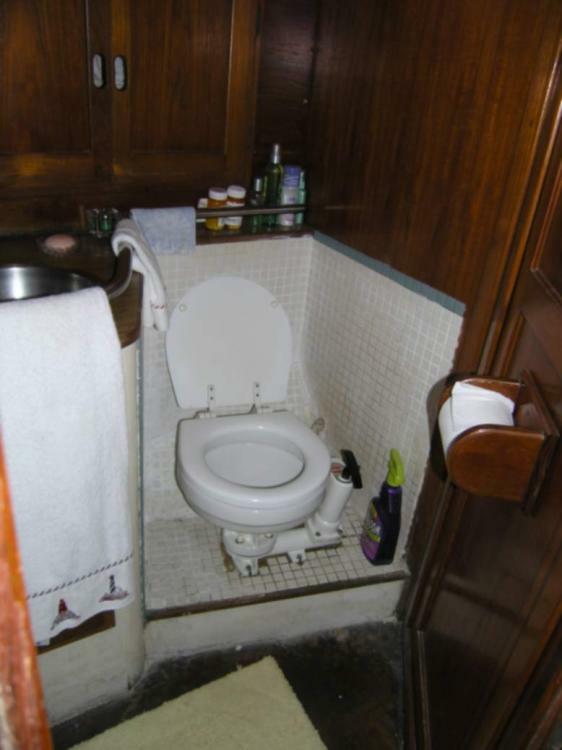 Other interior features include full head with privacy door, shower, vanity and sink and marine toilet. 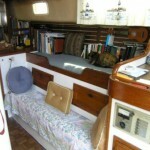 The vessel is set with windows throughout the vessel, and plenty of room and seating for entertaining guests. 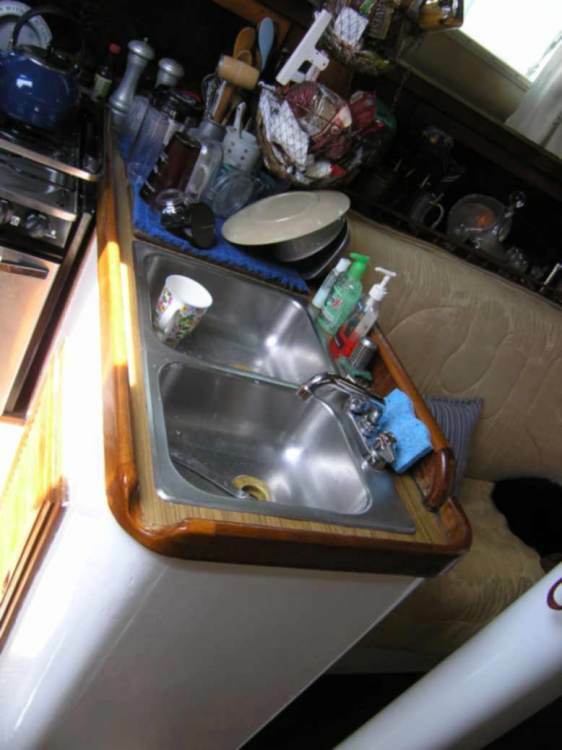 Galley Equipment: Galley is equipped with stainless steel sink double sink, freezer/refrigerator, plenty of storage, second ice box, and gas oven/stove. 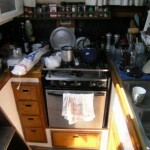 Other galley features include lots of counter space for preparation. 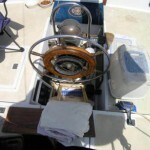 Electronic and Navigational Gear: The helm is outfitted with steering wheel and compass. 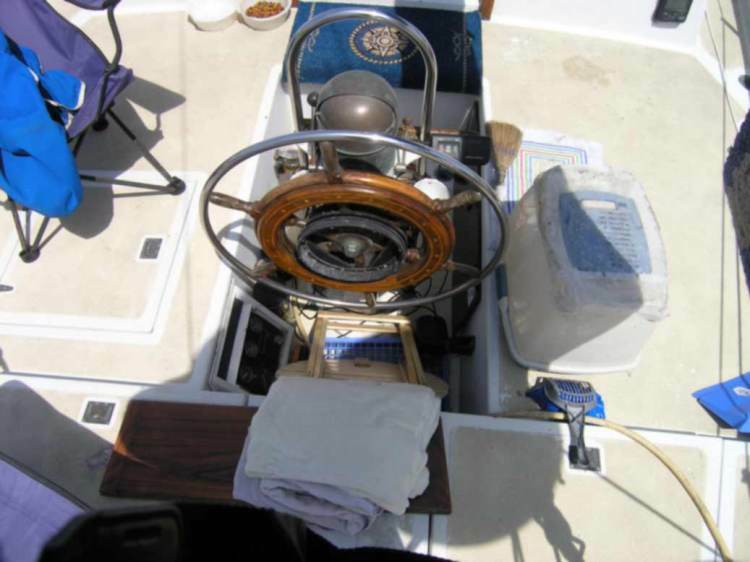 Electronic and navigational gear includes Garmin GPS/plotter, Fathouston digital fishfinder, Uniden MC795 VHF marine radio, Phase Linear stereo, Speakers, Furuno 1720 radar, Simrap Navico UP5000 autopilot, and Ritchie compass. 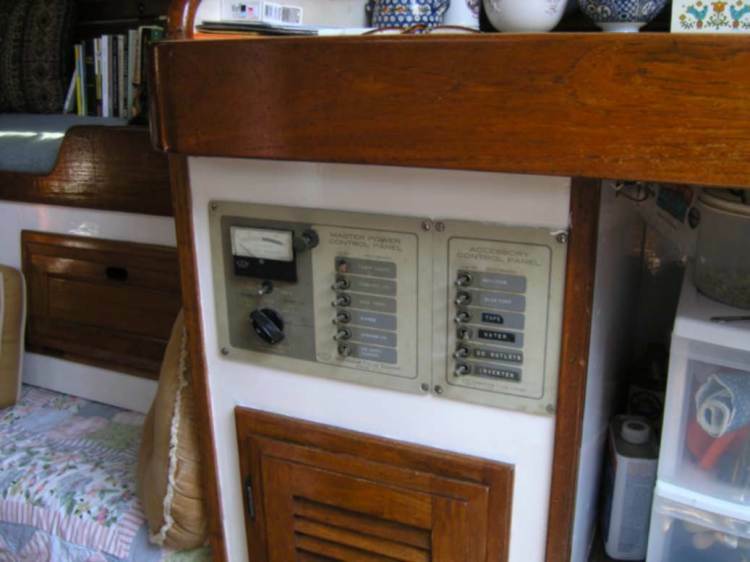 Other electronic and navigational gear includes 10 speed Horizon Windpoint. 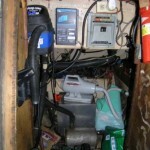 Electrical: Four batteries power the 12-volt and 110-volt electrical system. 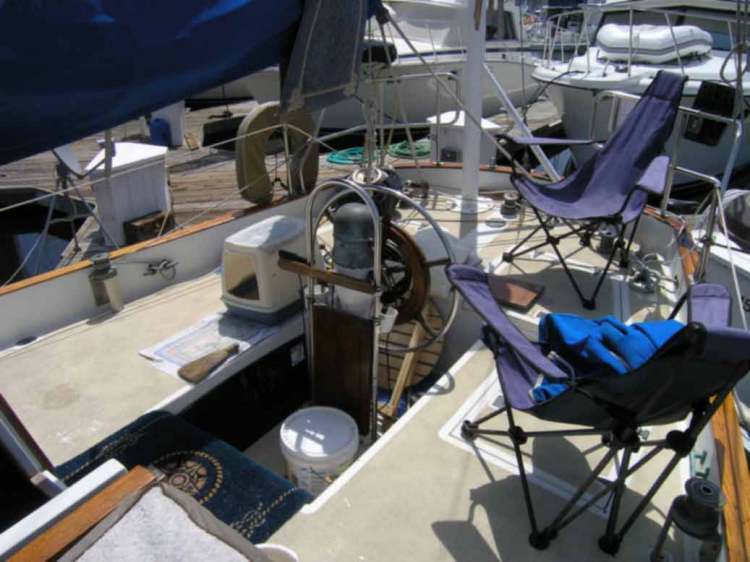 Other electrical features include 30 amp shore power inlet, Trucharge charging system, and 30 amp ship-to-shore power cord. 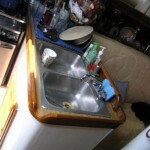 Water systems include two stainless steel freshwater tanks with total capacity of 90 gallons. 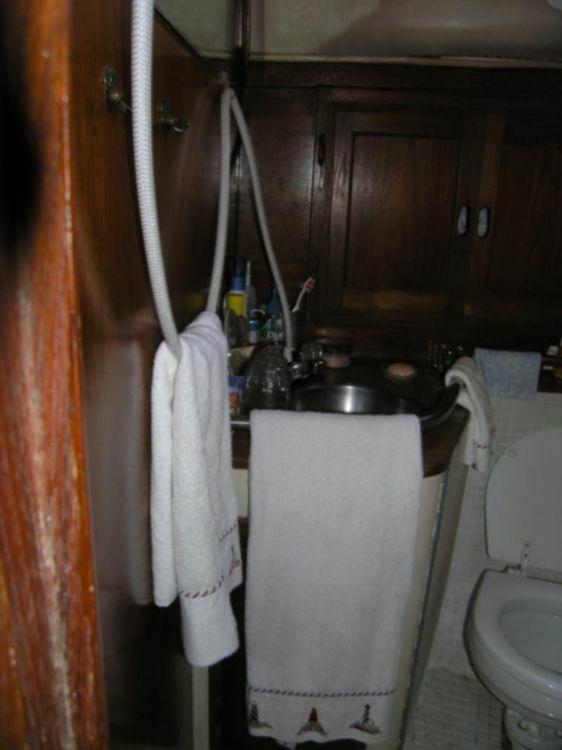 Other water system features include two manual bilge pumps. 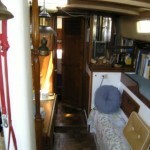 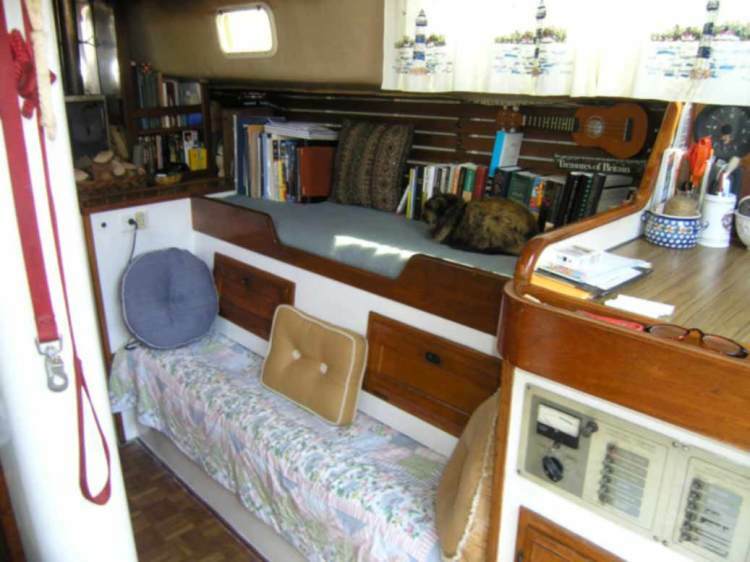 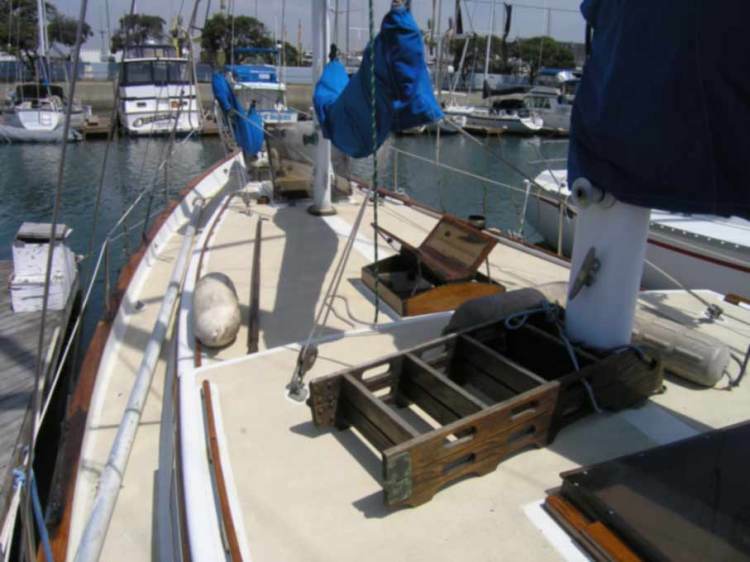 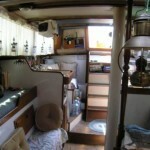 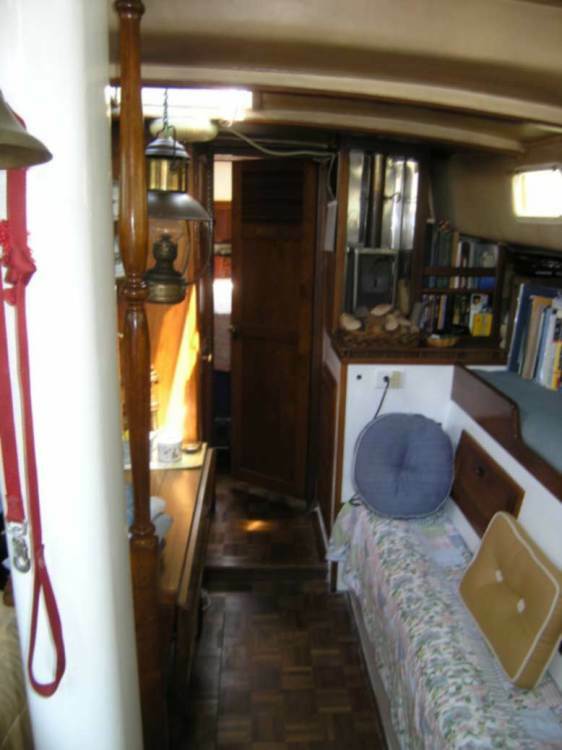 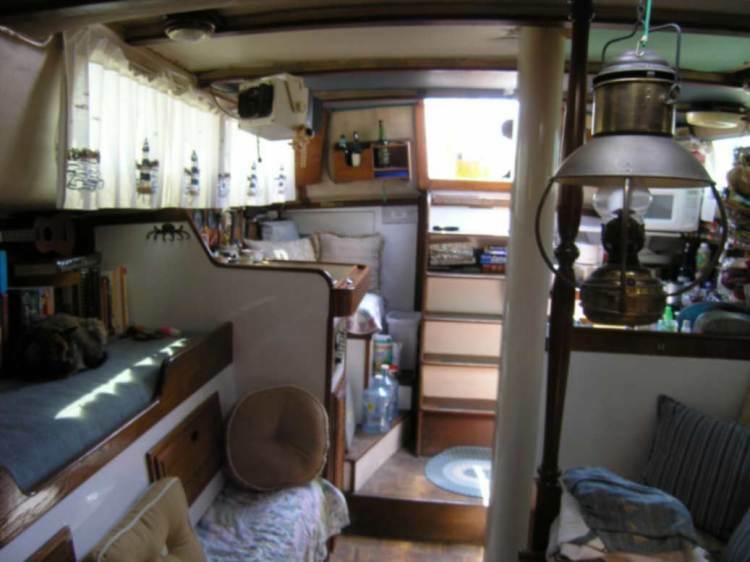 Hull & Deck Gear: This boat is best described as a full shoal keel schooner. 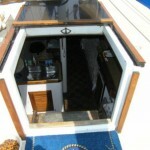 Deck layout includes deck at bow, port and starboard walk-a-round decks, and aft deck. 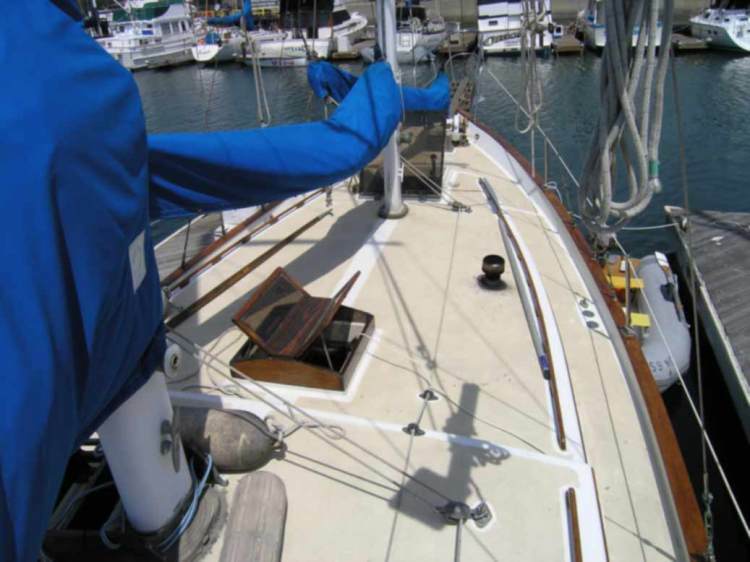 Sails, rigging and Deck gear includes an 8,000 lb. 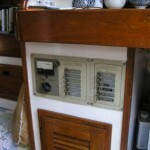 lead ballast, and steering wheel. 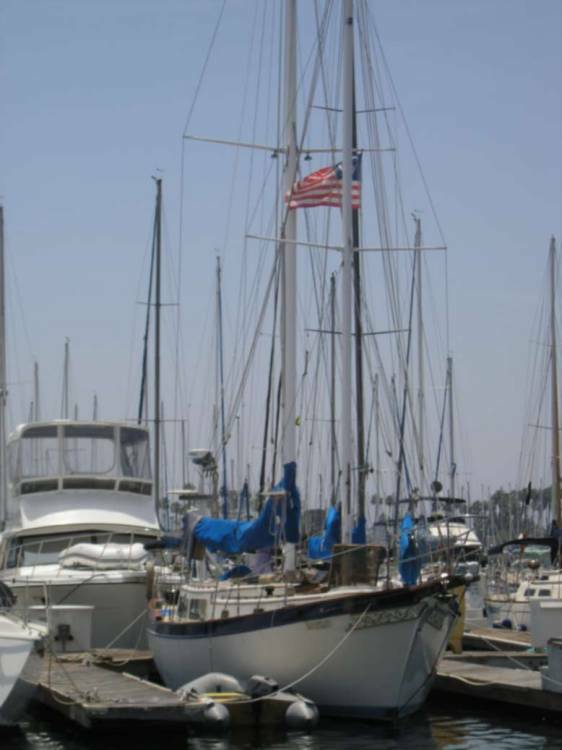 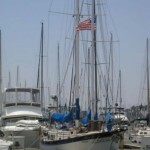 Sail inventory includes two main jibs, and two staysails. 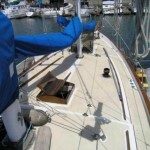 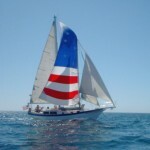 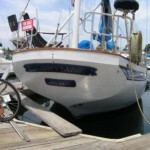 Canvas inventory includes main sail cover, two staysail covers, and hatch cover. 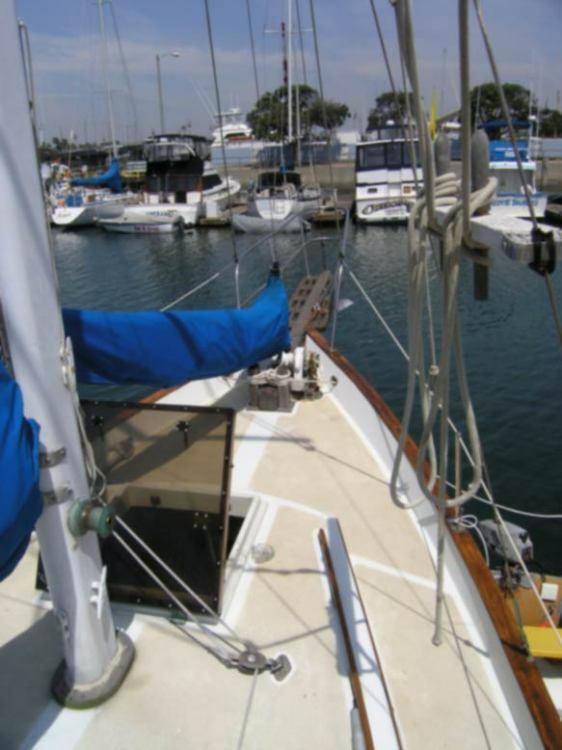 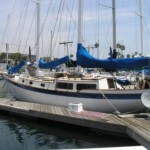 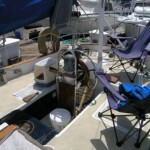 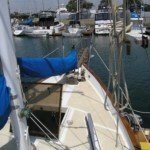 Anchor gear includes three anchors, 250’ chain and rode, small chain locker, bow roller, and manual Simpson windlass. 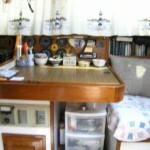 Safety gear includes six PFD’s, three fire extinguishers, flare kit, first aid kit, six docking lines, and two fenders. 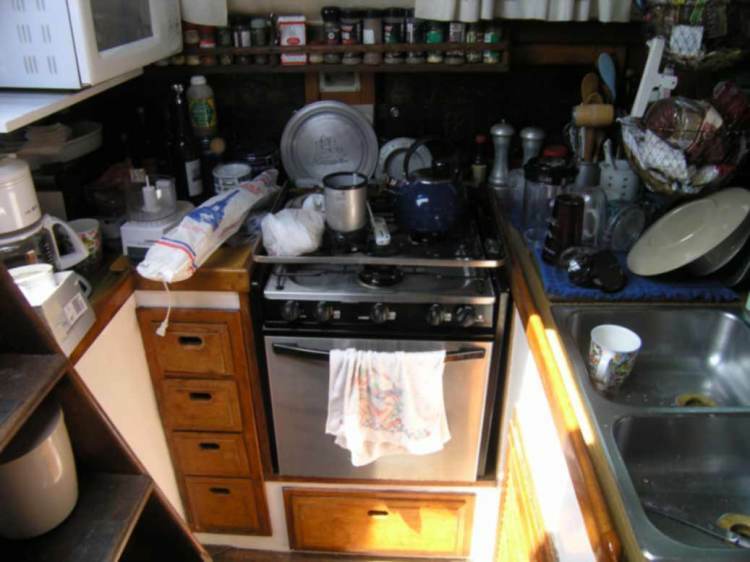 Other safety gear includes horse shoe life preserver, and radar reflector. 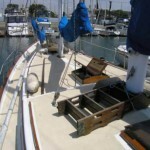 Sport gear includes swim step, and teak folding swim ladder. 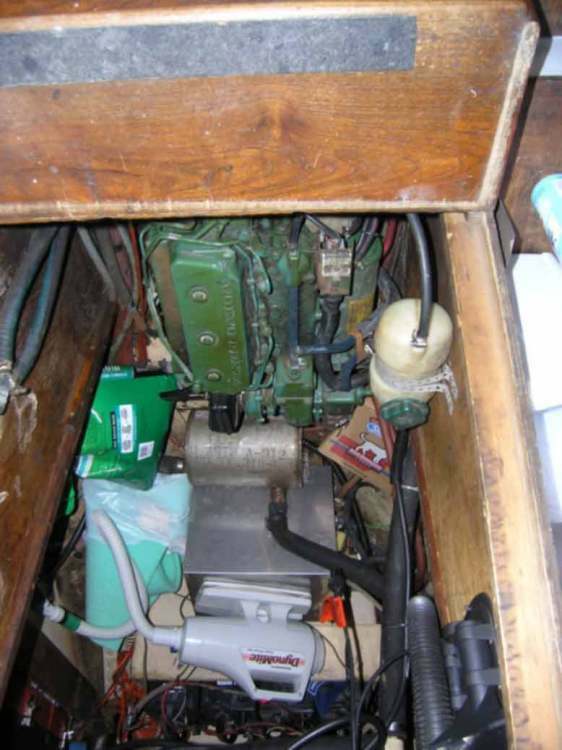 Equipment & Engine Details: Equipment includes Avon dinghy powered by 3 ½HP Mission motor. 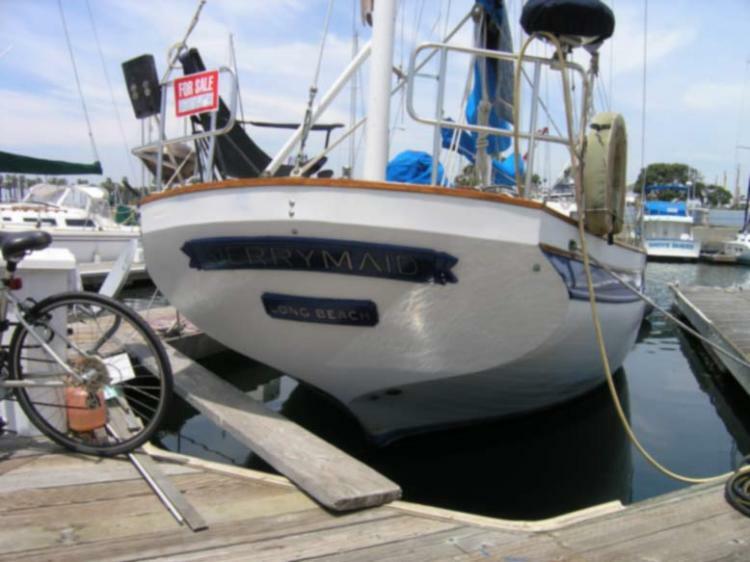 Engine Details: Auxiliary power package includes 1998 single 43HP, diesel, inboard engine. 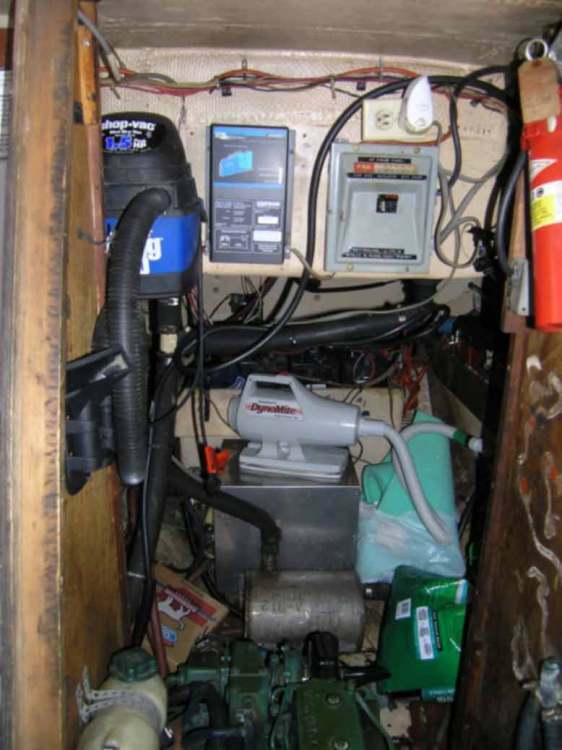 The engine has 700 hours and is fueled by one aluminum 90 gallon fuel tank. 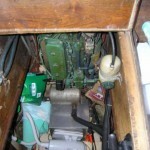 Other engine features include three blade prop, water heater, and heat exchanger. 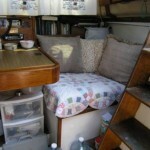 Remarks: This cruiser is fast, fun, and comfortable.